Diabetes is a complicated disease. Whether you are a pre-diabetic or a full diabetic, it is imperative that you maintain control over your blood sugar, diet, and weight. According to the American Diabetes Association, the symptoms of those suffering from Type 2 Diabetes are subtle and sometimes overlooked. However, if you have Type 2 Diabetes, what is happening inside of your body is not subtle, for your body lacks the ability to store and process simple and complex sugars. Not paying attention to a diabetic diet plan can result in severe health problems. There are two types of diabetes; Type 1 and Type 2. In this article, we are going to talk about those with Type 2 diabetes. Diabetics need to exercise on a daily basis, monitor their blood pressure and check their blood sugar regularly. Developing a practical approach to a diabetic diet is the primary focus of this article. In this day and age, when the family is busy and meals are rushed, how does a diabetic keep an accurate count of what they are consuming on a daily basis? Thankfully, bookshelves are full of cookbooks geared especially for diabetics, as well as dozens of online recipe sites. By doing a bit of planning and research beforehand, you can take control of your diet by simply taking your shopping list with you and buying the correct ingredients. 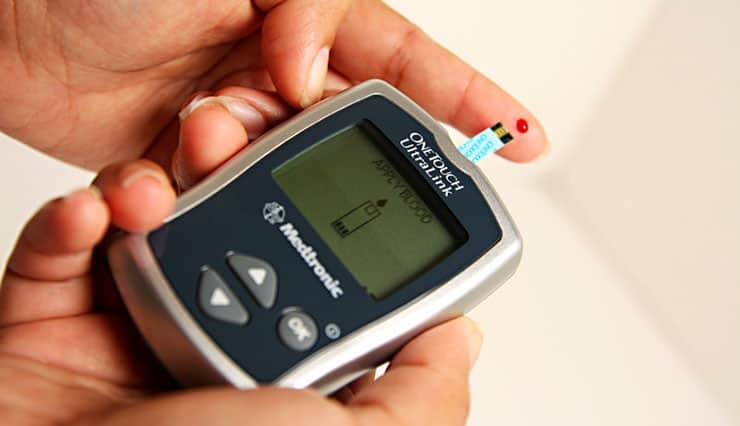 This type of diabetes means that your body is not making enough insulin to handle the sugar in your blood, or that the insulin is not effective enough to move the glucose in the blood into the cells of the body. Essentially, Diabetes is a condition of insulin resistance. Diabetes has a strong genetic link behind it, which is why you often find several family members suffering from it. 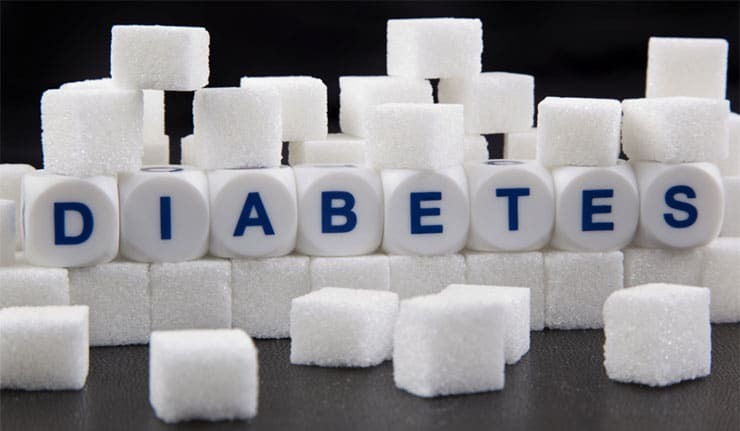 There are several risk factors that increase a person's chance of developing diabetes, including being overweight, a lack of physical exercise, as well as being over 50 years of age. What exactly is sugar in the blood? Another term for this is glucose. When you eat, the body turns those foods into glucose, or sugar, for energy. Insulin from the pancreas is what moves the glucose from your blood into the cells. When speaking about the levels of glucose in the blood, doctors break in down into milligrams of glucose per deciliter of blood. The reading would look like this- MG/DL. Although your glucose levels will vary throughout the day as you eat and drink, for a person who does not have diabetes, a blood test taken first thing in the morning, before eating, should be under 100MG/DL. A higher reading would, of course, be anything over 100 and a diabetic will often see numbers over 130. Carbohydrates will affect your blood sugar faster than fats or protein. Most carbs come from things like sugar, bread, pasta, rice, and starchy vegetables such as corn, beans, and potatoes. Not all carbohydrates are equal. Simple carbs are things like bread and sugar. Complex carbs would be foods like nuts, beans, and vegetables. It is best to focus on complex carbohydrates. These will give you energy and fiber as they digest more slowly than simple carbs. Eating too many carbohydrates, especially simple carbs or sugary snacks, can make your blood sugar rise substantially. There are certain foods that can make your blood sugar spike very high very quickly. Things like sugar and bread are quickly absorbed by the body and turned into sugar. Because of this, doctors have created a glycemic index, which can help to tell you if a certain food is more likely to spike your blood sugar. The Glycemic Index (sometimes just called the G.I.) is fairly easy to use. It works on a scale from 1 to 100, with one being very low (which is good) and 100 very high. Foods that are as natural as possible tend to be lower on the glycemic index than processed or refined foods. It's important to note that some foods can change their glycemic index over time. Bananas, for example, increase their sugar levels between barely ripe and very ripe. A regular, ready to eat, still yellow skinned banana has a glycemic index of 48, but once it gets those brown dots, it can be as high as 59. The best way to reduce blood sugar is to limit the amount of simple carbohydrates consumed. This is why diabetics are encouraged to consume a low carb, ketogenic, high protein diet with plenty of fresh vegetable and fruit. Meats: Look for free range or organic meats and avoid lunch meats, processed meats (such as hot dogs) or deli meat as these often have sugar added to them, increasing the number of simple carbs they contain. 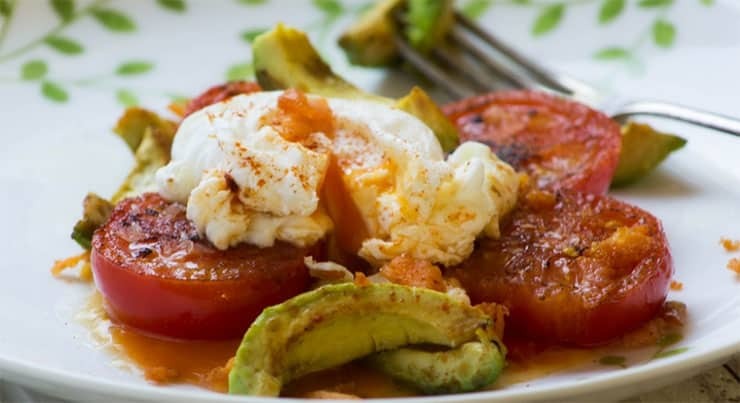 Eggs: Eggs are a good choice for diabetics as they are loaded with protein. It's hard to beat a hard boiled egg as a protein rich snack. The problem with diabetics and eggs are what people eat with them or on them. Eggs fried in margarine or put on two slices of bread can turn a good egg into a bad meal. Veggies: Not all veggies are created equal. Potatoes are a favorite around the world; however, they are loaded with carbs that the body treats just like sugar. One easy way to remember which veggies are good for diabetics is to think above ground. Vegetables such as spinach, broccoli, cauliflower, cabbage, eggplants, lettuce and tomatoes are all excellent choices. Vegetables that grow below ground, such as potatoes, onions, carrots, beets, parsnips and sweet potatoes are much higher in carbs and should be limited. Fruits: Fruits can taste as sweet as candy, which is what makes them higher in carbs than vegetables. Enjoying fruit when you are a diabetic is fine; you simply need to keep track of how much you enjoy each day. Berries. About 3.5 ounces of raspberries, strawberries or blackberries only contain a tiny 5 or 6 grams of carbs. Watch those blueberries, however, as they pack 12 carbs for the same amount. Lemons, coconuts, cantaloupe and plums have only 6 or 7 carbs per 3.5 ounce serving. Oranges, peaches, cherries, watermelon and tangerines have 9 or 10 carbs per 3.5 ounce serving. Higher up on the list are pineapples, mangos, and kiwi fruit at about 12 or 13 carbs per serving. Bananas are the top of the list with 20 grams, on average, for a 3.5 ounce serving. Nuts: A handful of nuts makes a terrific snack, but which are the best for diabetics? Pecans and Brazil nuts should be your first choice. A 3.5 ounce serving only costs you 4 grams of carbs. Macadamia nuts are only 5 grams of carbs. Peanuts, walnuts, and Hazel nuts will set you back 7 grams, while pine nuts are about 9 grams of carbs for a 3.5 ounce serving. The top three would be almonds, which have 10 grams of carbs per serving, pistachios, which are 18 carbs per serving, and the King of Carbs would be cashews, at a whopping 27 carbs per 3.5 ounce serving. Snacks: The best snacks are ones that require no prep! Think hard boiled eggs, hard cheeses, avocados, or a bite of leftover meat, such as chicken breast, for a snack that contains only 2 carbs! Olives, pecans, macadamia nuts, or avocados only have 3 carbs per serving. Other snacks that are yummy are vegetables, such as cucumbers, or celery dipped in a bit of cream cheese or sour cream. Perhaps one of the most decadent snacks, however, are about 3 ounces of strawberries, blackberries, or raspberries dipped in some heavy whipped cream. This will only set you back 8 carbs! Dairy: Dairy products can be high in carbs; it depends on what you are eating. In general, the more sugar the food has, the more carbs it will contain. Yogurt, for example, can vary greatly depending on the flavor and even on the manufacturer. The average 6 ounce container of low fat, fruit flavored yogurt can contain as many as 32 grams of carbs! However, a 6 ounce container of plain Greek yogurt has only 6 grams of carbs. In general, milk has 12 grams of carbs per 8 ounce serving. Using soy milk will cut that down to 8 grams per cup. Cottage cheese is another favorite, as 1 full cup has only 6 grams of carbs, but 8 grams of protein! Hard cheese is one of the tastiest ways you can get calcium and it isn't loaded with carbohydrates. Cheddar cheese, for example, has less than 1 gram of carbohydrates per 1 ounce serving. Be careful, however, and read the labels as not all cheese is this low carb. Real Fats: Avoid unhealthy fats that contain GMO products or trans fats such as margarine, canola oil, or shortening. Healthy fats that your body can truly use are avocados, coconut oil, nut oils, such as peanut oil or almond oil, olive oil and olives, sesame seeds and sesame seed oil. Drinks: Water, coffee, tea without added sugar. 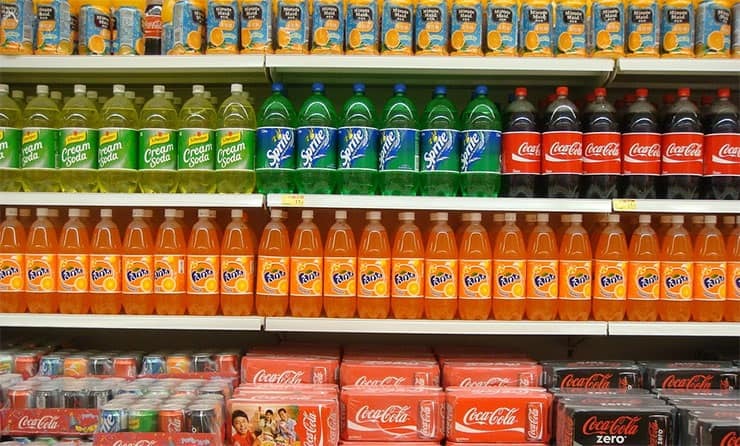 Sugar: soft drinks, sugar filled fruit juice, candy, cake, brownies, candy, etc. Fruits that are high in carbs. Milk should be limited, but nut milks, such as non-sweetened almond milk, are very low in carbs and make a terrific substitute. Protein: Protein is so tasty, it's easy to overeat. In general, each meal should be made up of 10 to 15 percent protein or about 0.7 grams of protein per pound of lean muscle mass. Fat: Eat fat at each meal. Fat and protein is what makes you feel full and satisfied. Getting regular exercise is important to the body to keep it working at its best. We have evolved in some areas more than others. The human body is not designed to sit for 8 or 10 hours a day looking at computers or telephone screens. Stress causes disease and hormone malfunction as much as eating fast food every day. Find ways to manage your stress, such as yoga or meditation. Sleep is when the body repairs itself. Those late night movies sound great, but you are sacrificing time when your body needs to shut down and remove old hormones, make new hormones, and repair skin and muscles. Don't skimp on sleep! It is not a weakness, but a necessity. Although it's been said a million times, that doesn't make it any less true; drink more water. Every single function of the body needs water to work properly. Imagine your body like a bathtub. How well could you clean yourself with only an inch of water in it? Stay hydrated. By following this diet plan, you will eat better, improve your health, control your blood sugar levels naturally and enjoy a rich, full life. Almost every person who follows this meal plan will find that they can reduce their reliance on drugs and/or insulin. Many people find that they lose weight, gain energy, and live a normal life free from medication or insulin shots.